Shake on the Lake started as a summer outdoor production and has grown into a regional touring company with programming all year long. Our season starts in April with educational programming at K-12 schools throughout Western New York. 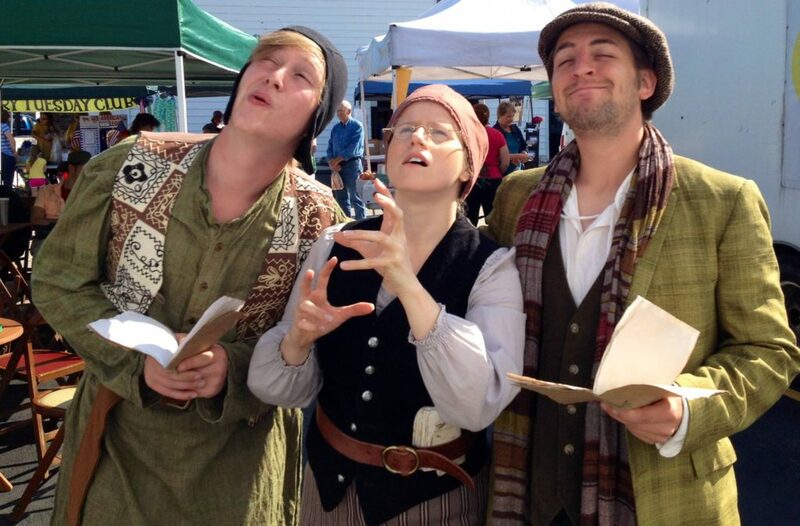 Our experienced teaching artists teach puppetry, improvisation, playwriting, and theatre arts. Often educational programming includes a final performances by students. 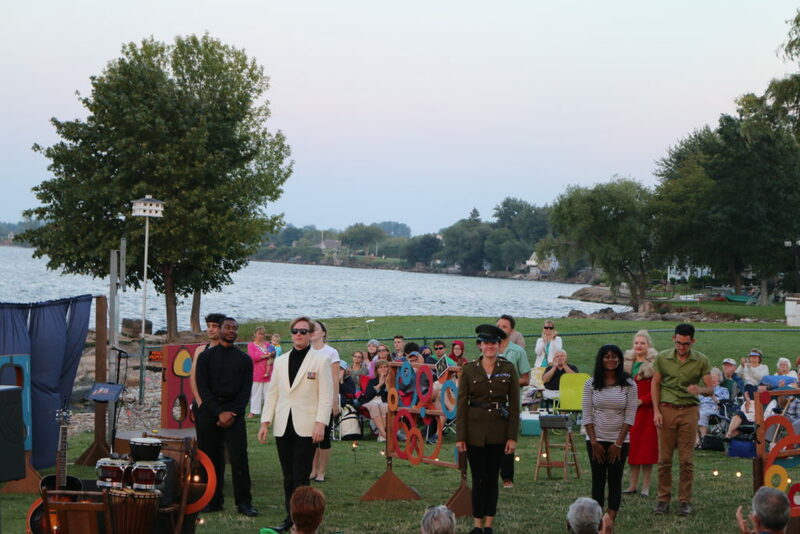 Shake on the Lake performances start in the summer with our Shakespeare Summer Tour. 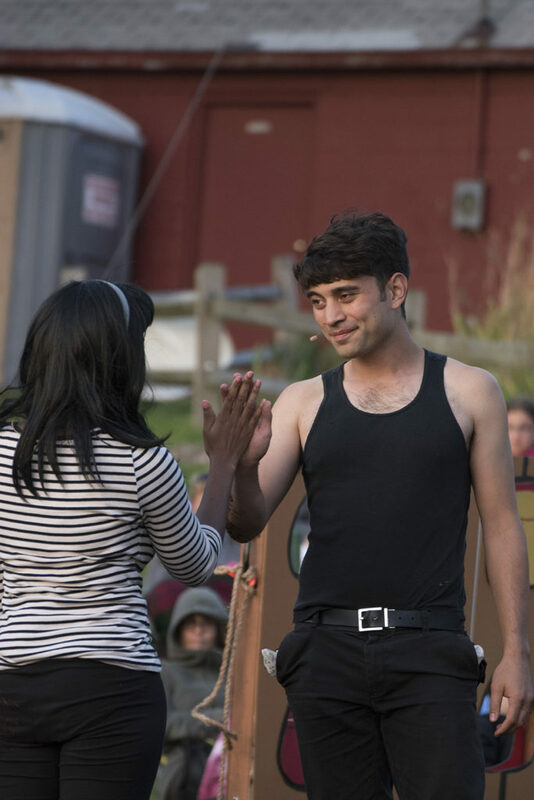 Each year we focus on one of Shakespeare’s classic plays to devise our own Shake on the Lake production. In 90 minutes or less, we present the Bard in accessible, but not watered-down form. These shows can travel and have traveled many miles – communities simply pay our rental fee, and we show up with the set, sound, crew, and actors to perform in your community. The show is designed for outdoor venues. 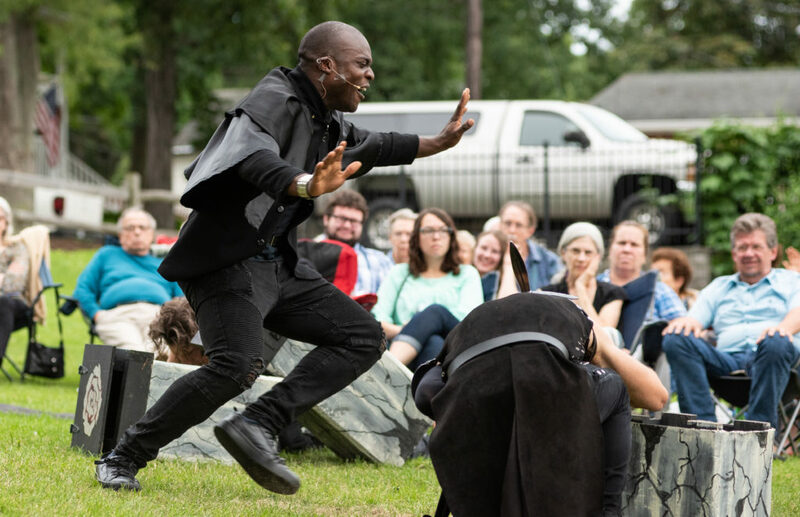 In the summer, we also host Voices UnCaged, a program developed by Chad Bradford to bring theatre arts to correctional facilities. With a curriculum focused on students developing their own creative voice, students go from script to show in less than a week and perform for an audience of their peers. Shake on the Lake is developing an exciting Harvest Festival to follow our summer tour. Follow along as we develop our first immersive theatre piece based on Shakespeare’s Macbeth. We end our season with a holiday classic at our home theatre, Theatre@37. Some years this show also tours, depending on the show. Shake on the Lake is also happy discuss customized programming for your community. 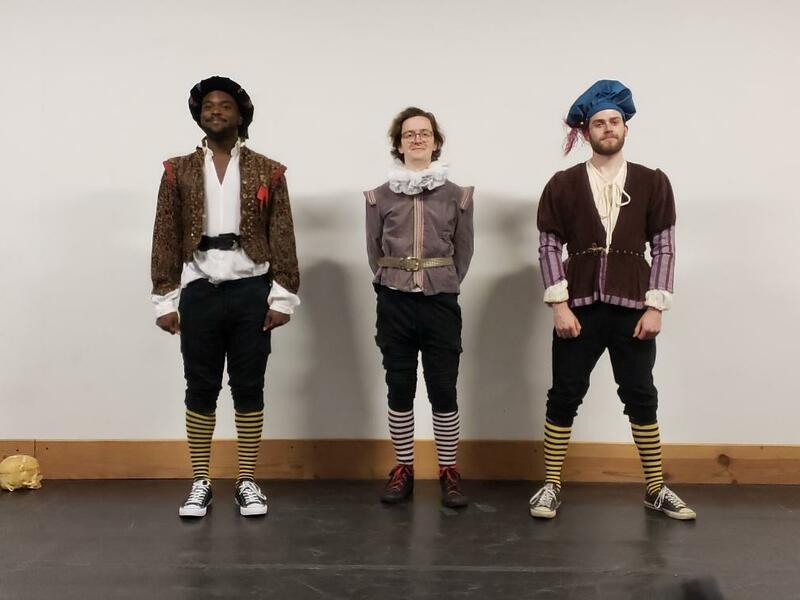 If you are thinking of commissioning your own Shakespeare tour, please reach out to us and we’d be happy to talk about our devising and creative process to see if it works with your community.